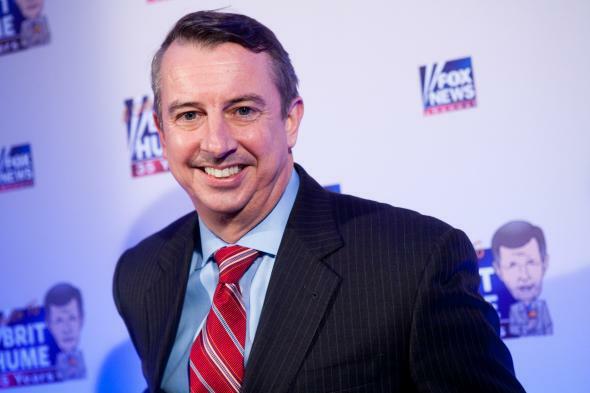 Ed Gillespie thinks he can use Obamacare to beat Mark Warner and become a senator. Jonathan Martin scoops, and others confirm, that former RNC Chairman Ed Gillespie will run for the Virginia U.S. Senate seat now held by Mark Warner. “Republicans have a viable candidate who can raise the money needed to run in a large state and mount a serious campaign in a contest they had thought to be out of reach,” reports Martin. Very true: Warner, who won his first term in a 31-point landslide, had raised $7.1 million and scared off the rest of the state’s Republican candidates. The pathetic gift scandals that beset Gov. Bob McDonnell ruined him, at least for a couple of years, as a statewide candidate. No public pollster has even bothered to test candidates against Warner, not since last summer. Aha! That’s the point. Sure, in July, Warner had a 51 percent approval rating. But what’s happened since then? Free hint: It starts with an “O” and ends with an “bamacare.” Even the Republicans angry at Ken Cuccinelli for blowing the 2013 gubernatorial election believe that the first problems with the health care law closed the race from 10 to 3 points in a couple of weeks. They told me as much at Cuccinelli’s election night party; they have since been emboldened by the razor-thin result in one of Virginia’s open state Senate seats. A Republican’s within 10 votes of taking the seat held by incoming Lt. Gov. Ralph Northam. Already, even if he loses, that represents a 7-point swing toward the GOP in the district, compared with 2012’s Obama-Romney result. The theory comes together. Gillespie is, like Terry McAuliffe, a D.C. fixer who lives in the Virginia suburbs. Like McAuliffe, he’s got a lengthy resume of financial connections that, in another circumstance, would make him look unelectable. (Dude lobbied for Enron.) But Republicans are at Peak Confidence because of Obamacare. They can see it poisoning the water for even solidly popular Democrats the way Iraq did for solidly popular Republicans in 2006, or the financial crash did in 2008. This is ambitious. Yes, Virginia’s a better Republican target when Barack Obama isn’t on the ballot. But Warner isn’t Cuccinelli. Warner hasn’t left himself exposed on the left—the big hit on him is that, like every Democrat in the Senate four years ago, he voted for Obamacare. Gillespie’s betting that even a candidate basically genetically engineered to win elections in modern Virginia can be brought low by Obamacare.